How is your week going? Mine is dragging along very slowly--going back to school after two weeks off has been exhausting! 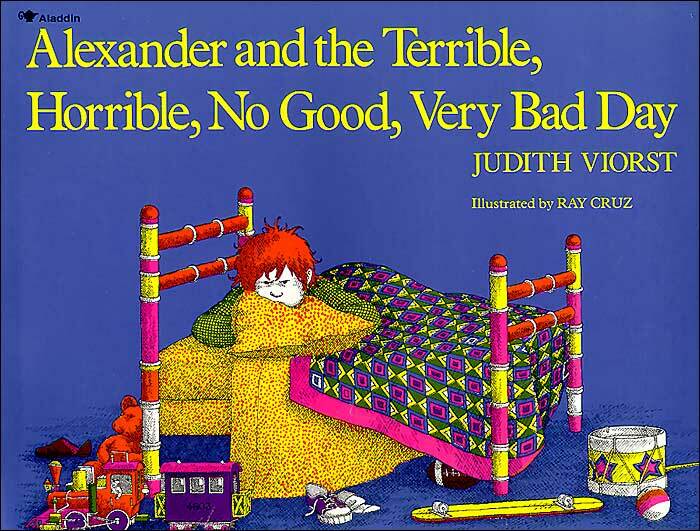 Did you ever read Alexander and the Terrible, Horrible, No Good, Very Bad Day as a child? It was a part of my personal library growing up. It tells the story of lovable, believable Alexander who is just having one of those days where nothing seems to go right. 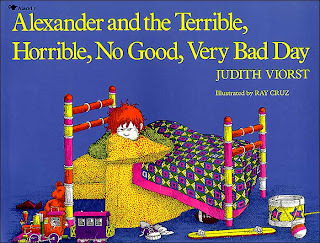 Well, my friends, yesterday THIS AlexandRA had a terrible, horrible, no good, very bad day! Let me take a minute to just vent- we all need a good crabbing session every now and then don't we? I'll set the scene...it's Tuesday morning (I personally think Tuesdays are the WORST day of the week), my alarm goes off and wakes me from such a good, deep sleep. UGH! I then allow myself just five more minutes, of course, which then puts me into a hurry. I don't have time to fiddle with makeup or hair and at the last minute decide to slip into my comfy Uggs, thus turning my cute outfit into a frumpy one. I open the door to head outside and see my windshield is covered in frost! I quickly blast the defroster and decide to head on to school. Well, by the time I get to my first turn, I realize my windshield is way too blurry to drive safely. I pull over, and hop out of the car. Only to remember I have no scraper...I had taken everything out to have my car cleaned and hadn't yet put it back. 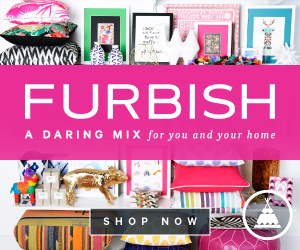 I hop out of the car, credit card in hand and quickly scrape...on the side of the road! Now here's the kicker: I get to school and realize my beloved iPhone is gone! I KNOW I had it in the car with me and realize it may have fallen out during my scraping pit stop. I try not to let it get to me...I have insurance--I'll get a new phone, no big deal (right?). I also said a silent prayer that my contacts could somehow be recovered. I continue on with my day- I am responsible for 18 kindergartners after all! By now, it's 4:30. I think to myself: "Well I still have about an hour and a half or so to blog before I have to get ready for dinner with Bryce's parents. Chin up!" I pour myself a Coke (a treat, because I very seldom drink soda now) and head to my apartment's clubhouse for my blogging sesh. I soon learn my computer is working sluggishly (again! ), the wireless is spotty, and it appears that ALL FOUR of my USB ports aren't working (which now explains why my phone wouldn't hook up to iTunes last week) meaning I can't upload pictures from Chapel Hill. My kiddies have been SO good these past few days and I'm loving their smiling faces each day! 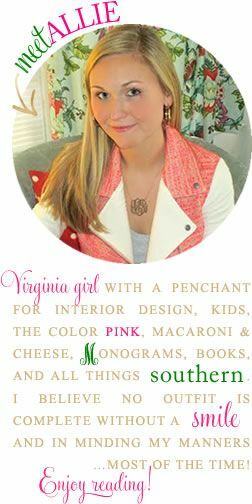 Even though my computer seems to be near death's door, I am fortunate enough to have a school computer that I can also use for personal things, like blogging! I have been sticking to my resolutions! I've been going to cycle classes; have been squeezing Bryce a little tighter and thinking before I speak; I tried a new food in Chapel Hill; AND, despite my terrible, horrible, no good, very bad day, I still managed to write a post! Thanks for bearing with me. Please excuse this blabbering mess of a post, I know it's filled with run-on sentences and grammar errors--but that's just the way life is sometimes! Hope your weeks have been to a better start than mine. I guess it can only go up from here for me! We all have days like this....but having your phone run over by a truck makes it exceptional. Oh no, that sounds like a horrible day! I loved reading that book to my students. We can all relate to a horrible day! Way to go on your resolutions. Hope today is a good day. Only two more wake-ups! Oh my gosh, girl, that sounds miserable! I was on my way to Charleston by myself and had to stop in this sketchy bathroom in NC, and by sketchy I mean dead cockroach on the floor, barred windows--it was the worst, but I had to get gas/use the bathroom, and it was the only place I'd seen for miles. Anyway, I was holding my iPhone and dropped it on the floor, where it shattered! I was so upset, but even more upset when I went to Verizon and they told me I had to pay $170 for a new one! I hope your Wednesday is better than your Tuesday! doesn't it feel good to vent..makes it seem less than it really was when you read it out loud!! here's to a great wednesday! I'm so sorry to hear about your day, but I'm glad it has some bright spots. Hopefully today will be better! ughh the worst! I am so so sorry! hopefully today will be much better! You have had "one of those days!" Happy New Year, sweet girl...maybe you have all the yuck of 2013 out in one day! Wow, what a day. I'm so sorry, but it's good to hear from you. oh my goodness... what a day. Very Alexander like for sure. I hate you had such a bad Tuesday!! I hope your week gets better from here on out! My iPhone was stolen during my second week when I was teaching innercity. (Which was pretty lucky since a teacher had her CAR stolen by a student.) I learned to always try the Apple store first before going to Verizon. Sometimes they can do more to repair the phone or are able to cut you a deal to get a new one less expensively than your deductible. Hoping the rest of your week is much better! I used to park in certain spots out back at MM JUST so I wouldn't have to scrape! I've quickly learned to do that here too... and I love that you say "chin up" too! Have a better week! I know you will! Holy moly, what a day! I am completely with you on the iPhone insurance scam. I dropped mine on my classroom floor a few months ago, flew to Verizon, knowing my insurance would cover it, only to find out I had to pay more to get a new phone than I paid for my original one. Oh, and if you went ahead and bought the new phone, don't expect something new. Mine came back "refurbished," meaning they fixed someone else's broken phone and sent it back to me (for $169 + $200 I had paid in insurance). Ouch! I hope the rest of the week ends better than it started!! Sounds like a rough one...I hope the rest of the week goes better! You poor thing, that is a terrible day. I had a similar issue with my windshield the other morning and ended up popping my tire on the way to work! It put a damper on my entire day, but looking back sometimes we need bad days to appreciate the good ones even more! Hope today is going better! Ah I'm so sorry about your bad day! If you go the Verizon insurance route be careful - I got a new phone through insurance a few months ago and sent the old broken phone back in the envelope they sent. A few weeks later I got a text saying I needed to return my phone or I'd be charged $500! I googled it and apparently this happens to a lot of people. I called them and left a message and they never called me back but I haven't gotten any more text messages or been charged so I'm hoping I'm in the clear! Yuck, hate those days. Love your hopeful attitude though and to hear how much your K-kids bring a smile to your face is priceless! !